I love these socks.. comfortable and I haven't stopped wearing them. Received several new pairs of socks where the elastic band at the top of the sock was not sown properly and are virtually a waste of money. Very disappointed. I but these for my mechanic husband and they last more than two days like all the other sock, he loves them too. They dont slide up and down leg they fit well, will keep buying them. I have purchased these socks (white color specifically) for my husband for many years, including before he retired from active duty military. Years ago I learned our socks last much longer (& don't slip on hardwood floors) if I wash them separately in cold water, only use detergent (no fabric softener), and to get them dry, either air dry (hang to air dry or air fluff cycle in dryer) or use the low heat setting on dryer. 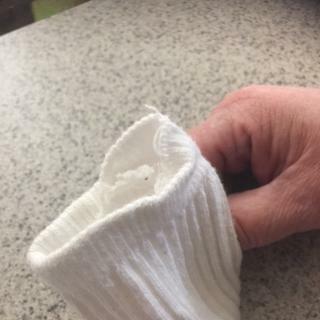 I am so glad these socks are durable, wash well, and last for years before they need to be replaced, plus my husband enjoys wearing them because they are comfortable, do not bind or fall down, which just adds to their overall appeal. You can't go wrong with these! These are comfortable, quality, and durable socks. Would recommend! Very comfortable and warm , best yet made in the USA. My husband loves these socks for work. We can only find them in a few stores so he was pleased they can be ordered online. Bought them for my husband...they are his favorite socks! Has a lot of quality workmanship and detail with extra seams for durability. 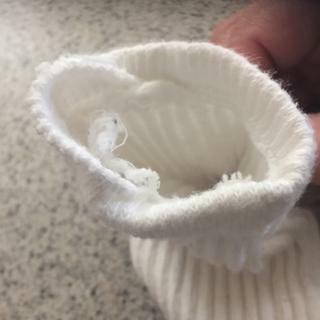 I specifically like the fact that the top of the sock has a slight tight stretch and support so that the sock stay in place and don't slip down. I can't speak to the quality or durability of the socks but I will say they are very stiff and have almost not stretch. This makes them seem loose and tend not to stay up. We appreciate your feedback and are sorry to hear this. Please contact us at 1 800 833 3118 if we can further assist in any way. I was hoping for a bit more padding on the foot but I like the socks. it is difficult to find cotton socks so that was a plus. They seem a bit snug for the 10 -13 size but are still really new so we will see how they wear. We're sorry to hear this. Feel free to reach out to us at 1 800 833 3118 for further assistance. best socks in my life. in life you get what you pay for. paid a little extra but got the best socks in my life. bought ten- 3 packs of socks. I then just replace my old socks. These are great everyday all weather socks & scream Carhartt quality .Soft comfortable & durable .I recommend them . i needed better boot socks for when i am out in the shop working and these things get the job done there is yet to be any holes and i am a rather hard walker to i am very impressed will buy more. Great Pair of fall socks. Love these socks, durable and comfortable. These socks keep feet cool during the summer and warm during the winter. In addition, they last a minimum of one year with regular wear and washing. I wash them using a normal cycle, warm water, and with with bio-friendly clothes detergent. Probably the most comfortable pair of work socks I have ever bought. These are good quality socks that actually fit (a closer range of fit-sizes helps). After buying another brand's multipack socks that supposedly fit a broad size range, I had to donate them all to charity because they were too small. The sock was true to size and is comfortable. I would recommend this product to another. I needed work socks and cannot wear anything with too much lycra/spandex, so I prefer cotton. I ordered socks for my size but they barely fit the foot and the top band was way too tight for my legs. I folded the tops down and wear them as anklets. They are made well but the fit was very disappointing. Very comfortable for wearing in workboots. Stand up very well. Great quality. I've completely switched over to this sock. They are great for most situations summer or winter. They are proving quite durable as my first pair are over 6 months old and going strong. GOOD ! OK for just anyone very well . I always buy carhartt socks to work in. I am on my feet most of the time at work. These socks are very comfortable and most of all keeps feet dry especially in the summer. Good value, as always with Carhartt.Fit is comfortable, a good working man's sock...and they last. So far so good . Got 6 pair 2 months ago , to check out size etc .Plan on getting more . Would recommend to others to try . Husband complains they are to tight. If you wear a larger size shoe and sock they should be wider ! Fits snug, even after long work days wearing boats. I love this sock!!! If you're in the market for new great sock these are them! They keep your feet warm and dry and don't smell it up too much. Needed some quality socks to wear under my work boots and these have fulfilled they need. I do very much like the look and feel of the socks. They go on easily they're very soft and fit very well. They seem durable, but of course time will tell the true durability and longevity. My only small complaint is though they do stay up on my leg most of the way, they do slide down a little bit throughout the day and I have to pull them back up. Again it's not bad at all, and they only slide down a small amount, it's not like they slide to my ankles or anything like that. I do highly recommend them and these are definitely the best socks I owned in a very, very long time! We purchased these socks 3 yrs. ago and really liked them and they were soft and comfortable. These are not the same sock. XL fits small and stiffer. Very disappointed. Thank you for your feedback. We are sorry to hear of the issues you have experienced. We are happy to help! Please feel free to contact us for assistance. I LOVE these socks! Warm, very comfortable! Need to order more!! Is your socks made by carhartt? BEST ANSWER: No, they are manufactured by a Licensee of Carhartt. How high do these socks come up on the leg? Thank you.. not sure which ones to order. BEST ANSWER: For me, they are about a 1/3 of my calf, perfect for my work boots. They come up about mud calf. Why is it so hard to keep this most popular gray sock in stock?? BEST ANSWER: We currently have stock available in Medium and XL. The medium size will fit men's shoe sizes 5-10 and the XL will fit men's shoe sizes 11-15. We hope to receive stock in the Large by mid-March. What shoe size is the Medium sock? What shoe sizes are Large and which ones are X-large? BEST ANSWER: The Large is for men's shoe sizes 6-12; the XL is for men's shoe sizes 11-15. Is the 3 pack, 3 individual socks or 3 pairs of socks so 6 individual socks? BEST ANSWER: 3 pair; 6 total socks. Love them. Wear them every day in my work boots. Three pairs in the pack. They are very comfortable and hold up well. 3 pairs for a total of 6 individual socks. three pairs, total of six socks. 3 pairs. 6 socks total. Is it 100% cotton ? BEST ANSWER: They are not made of 100% cotton. The contents are based on the color of the sock. The Gray are made of 59% Cotton, 31% Polyester, 9% Nylon and 1% Spandex. The Black socks are made of 74% Cotton, 16% Nylon, 9% Polyester and 1% Spandex. The White socks are made of 73% Cotton, 17% Polyester, 9% Nylon and 1% Spandex. Obviously, since it contains Spandex, it is not 100% Cotton. 100% Cotton would not stay up or hold up to heat & body moisture. I found these socks to be very comfortable and able to stay up without constantly pulling them up. No. You definitely would not want 100% cotton socks! They would have no stretch and never fit right let alone stay on. These are really good socks with a good proper combination of materials. No. -- feels almost like spandex .